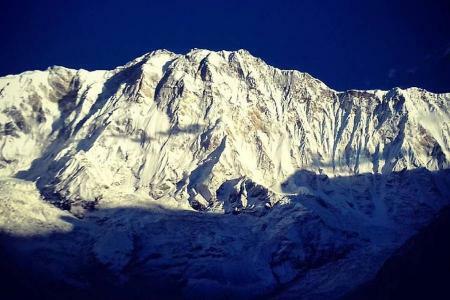 Situated near to Tibet border in the isolated area of Mustang area near DamodarHimal, Saribung (6380m) is lately opened peak for ascending in Western Nepal. 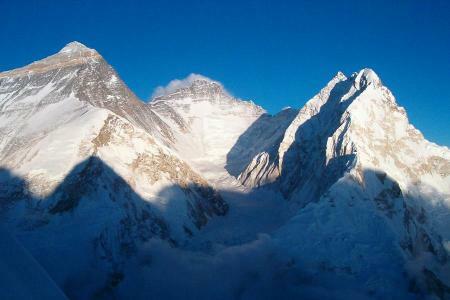 This peak is also popular mountain at present for climbing in short period. Saribung regarded as technically trouble-free to ascend but there is elevated ice passes that make expedition tough. The important part of Saribung Expeditions are- the restricted region of Upper Mustang, a isolated and arresting region which is fraction of the Tibetan flat terrain, scenery of carved gorges, incredible rock formations, royal palaces, medieval settlements, Tibetan Buddhist Gombas, soaring snow peaks, wild NamtaKhola Valley, Lo Manthang and the like. 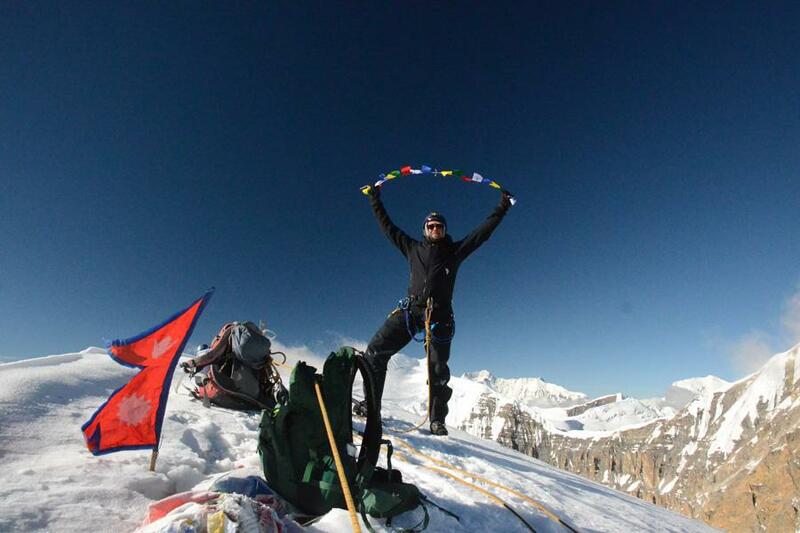 Unique Adventure International designs Saribung Peak Expedition which is one of the best selling trips which will take you all along beautiful Marsyangdi valley with the vistas of Annapurna II, III, Manaslu; exploring Manang community, Pocho monastery and Braka monastery and more. The best season to go for the expedition is spring, summer and autumn. We offer ample support with yummy meals. 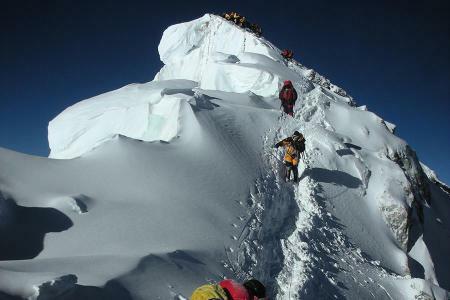 We'll aid you with number of Sherpa guides to ensure the probability of success and for your safety. You will rest in Kathmandu for a day. You will be described about your trek and then complete some official procedure. Also, make all the preparations essential for trek. Scenic drive to Pokhara takes 7 hours. 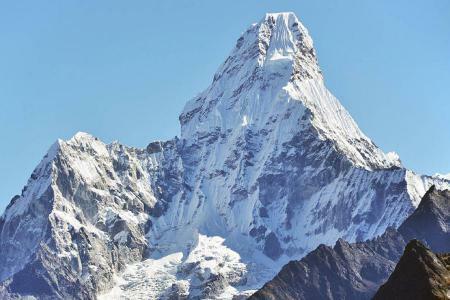 Then from Pokhara we will take picturesque flight to Jomsom for around 20 minutes through the world's deepest ravine offering incredible peak views of Mt. Dhaulagiri, Fishtail and Annapurna Ranges. From Jomsom, our trek commences upstream the Kali Gandaki broad riverbed to arrive at Kagbeni, the doorway of Mustang. Kagbeni lies at the shore of two rivers. From Kagbeni, we move further toward Chele early in the morning today. The track still moves alongside the bank of Kaligandaki. We cross the villages of Chunksang and Tangbe. And, before arriving at Chele we have to come across a bridge over Kaligandaki and go up abruptly up for around 35 minutes to reach Chele Village. We leave Chele, we will start our trek to Shyangmochen. We come across the passes like Taklam La (3240 meter), Yemdo Pass (4000 meter), Baga La and Dzong La (3550 meter). You will be trekking passing through arresting communities of Yemdo, Samar and Bhona. Then, we enter Shyangmochen. As in all arid regions in Mustang on the way to Ghami too most houses are build out of mud, stones with roof of straw and a combination of mud, pebbles. After walking for 5 hours we will reach to Ghami. Here we stay overnight in guest house available. The splendid views of the landscape the gentle curve of the north dissimilar to the uneven mountain gorge in the east and west are arresting part of the trek. We walk for around 5 hours which brings us to Tsarang (Charang), a large broaden village occupied by the people of Lo, actually of Tibetan origin. The aged monastery and the adjacent Gompa are supposed to be some 500 years old and surrounded by some of the best religious wall paintings. From Tsarang, we will walk to the capital of Mustang, Lo-Mangthang. A wall, 300 meter long and 150 meter wide, has secluded against warriors, thief and the brutal winds. Day 10: Rest and explore Lo-Manthang (3800 meter), overnight at guest house. On this day, we will rest and explore around Lo-Manthang. The small settlement of Lo-Mangthang consists of more than a 1000 inhabitants. Also, we can observe the Mustang Palace soaring over the community, Jhampa Gompa etc. Leaving Lo Manthang, we will go back to the pass after that we have to be careful not to fall down a steep gorge with eroded cliffs to DhiGaun. All the way downward is all the way through a colored canyon. Then the trek continue to YaraGaun after crossing a river. We will go across the stream before ascending to Yara amidst lunar scenery in the Puyon Chu ravine. Then, the track moves up to Gangra at an elevation 3870 meter then go across parallel till the outstanding monastery of Lori placed high up a cliff. This gomba includes some fascinating paintings. From LuriGompa we have a well walk from top of hill through the fields. 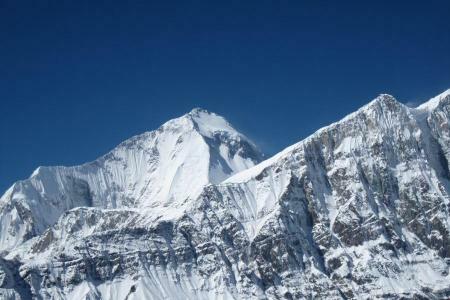 At 4780 meter, the path crosses a broad verdant plateau bestows excellent vistas of the huge Dhaulagiri peak. The trail continues moving up to a pass lying at an elevation of 4940m and moves down to GhumaThanti, a place constructed as a home for the Buddhist pilgrims moving to the holy Damodar Kunda lakes. Today we will climb on the moraines of the east part of the glacier and is signaled by small cairns. We have to attach together to the glacier to go behind till its end a very eye-catching way of ice chunks. At approximately 5700 meter, the path goes across the glacier quite straight to go behind the western moraine. 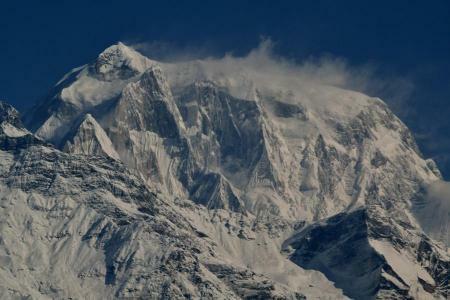 We will be perceive the views of the Khumjunggar Himal (6959 meter) and also the DamodarHimal. Today we have 2 days rest and we will trek to Saribung Pass which lies at an elevation of 5600 meter. The track goes behind the moraine then a small glacier. The summit is 280 m further ahead on snow covered slopes opening on a wide ridge. From the peak of Saribung we have an exceptional scenery of Gyajikang, Bhrikuti, Himlung etc. From the pass the turn down on the other face entails some protection measures due to a lot of crevasses. At the final point of the glacier, we will take off the crampons for an infinite walk on the border of the eastern moraine until we reach at the camp. Today, the trail will take us downward from the top of the hill till a river that we traverse and the trail follows the river area till a second river opens out. On the reverse side, we see the track joins a fine marked trail through meadows till Nogaru, a village now has been desolate. The track after that climbs suddenly up to reach a very beautiful path that takes us to Phu, a village hanging on a rocky mountain and occupied by Tibetan people. Airport transfers (domestic and international both). 4 nights hotel accommodation in with breakfastand dinner. Climbing Permit fee for Saribung Peak and Annapurna Conservation Area Permit fee. Special permit fee for Upper Mustang and Nar Phu region. Food & Fuel during the trek and climbing period. Guesthouse / tented camp accommodation during the trekking and climbing period. North Face or similar quality high altitude tent for climbing. Tent / rooms for each member, staffs, climbing Sherpa at the base camp. Expert Staffs: climbing guide, base camp guide, cook, cook helper. Staff’s insurance, daily allowance, wages, equipment allowance and transportation. Domestic flight Pokhara – Jomsom. Cargo transportation to supply the food and gears.